The Nice DI Stereo Class-A Active DI from Phoenix Audio is a high-quality, active stereo DI with Class-A discrete high-impedance inputs and Class-A discrete transformer balanced outputs. 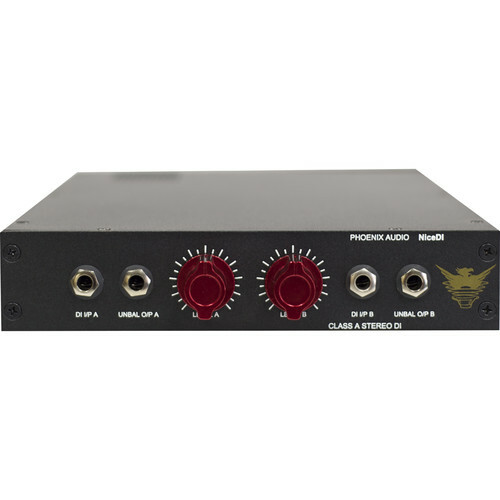 Providing a gain control that sounds clean, clear, and unrestrained, it can be used with guitars or any input source. In addition, the DI's characteristics are noticeable and are suitable for sweetening the output from a DAW or any other signal source. Wiring Scheme All Units Are Wired with PTFE Insulated, Silver-Plated Military Grade Cable.